Bentham IMF’s arrival in Canada and what it means for the litigation marketplace. Peter Aprile and Natalie Worsfold interview Tania Sulan and Naomi Loewith of Bentham IMF Capital Limited ("Bentham IMF"). The group discusses Bentham IMF's recent arrival in Canada, the stigma of litigation funding, and the opportunities it opens for lawyers and clients, alike. 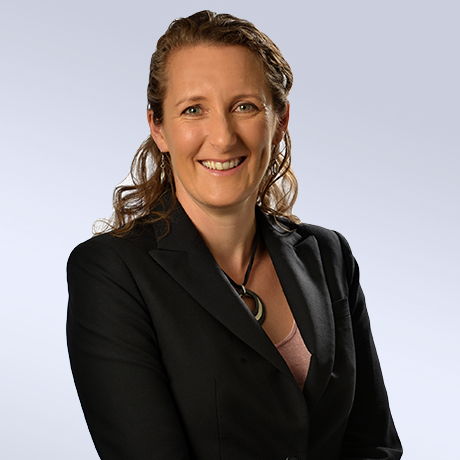 Since joining Bentham in 2007, Tania has provided funding for a broad range of commercial litigation matters involving breach of contract, intellectual property, breach of duty, insolvency and arbitration, among others. She has assisted companies and law firms to achieve their growth strategies with creative financing solutions such litigation portfolios or operational cost financing. 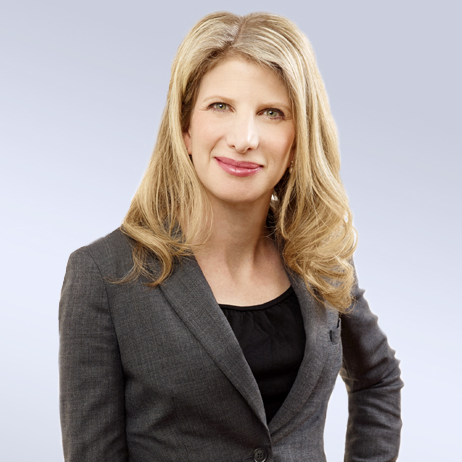 Naomi Loewith is an Investment Manager in Bentham IMF's Toronto office. Naomi has extensive experience with complex commercial matters, acting for corporations, universities, boards of directors, senior executive management and public institutions. Peter Aprile: [00:00] Hi, and welcome to Building NewLaw. Canada's first and only CPD‑accredited podcast. It's hosted by me, Peter Aprile, and my colleague, Natalie Worsfold. Peter: [00:24] We hope that the podcast connects the NewLaw community, and helps us all learn more about the approaches that are changing the way we practice law. Natalie: [00:32] To learn how you can use this podcast to satisfy your Law Society CPD requirements, visit our website at countertax.ca/bnlcpd. That's countertax.ca/bnlcpd. Sponsor: [00:41] The Building NewLaw Podcast is supported by Counter Tax Lawyers. A new type of tax controversy and litigation law firm. To learn more about Counter, go to countertax.ca. Peter: [01:01] Today we're speaking with Tania Sulan and Naomi Loewith, and they're heading up the Canadian arm of IMF Bentham Limited. Natalie: [01:14] Bentham is the world's oldest and most experienced litigation funding company. Bentham pioneered commercial litigation funding in Australia, expanded to the US, and is now entering the Canadian market. [01:26] Bentham is selective about the type of litigation at funds and is completed 187 cases so far. However, it has a 90 percent success rate in those cases, and netted over two billion Australian dollars in settlements and judgments from those files, which is really staggering. Peter: [01:43] We think Bentham's arrival in Canada is really exciting. Tania and Naomi are just great people and great representatives to tell us all about Bentham and what it plans to do in Canada. Here's the interview. Peter: [01:53] In basic terms, what is litigation funding? Tania Sulan: [02:03] Litigation funding is where a third party, such as Bentham, will provide the financial resources to assist the client to pursue the case. Typically, as well as providing the legal cost and disbursement service associated with the case. We'll also agree to cover any court ordered cost, so in the event that the case unsuccessful we'll pay any of those cost orders. [02:23] We'll also deal with security for cost. Peter: [02:26] Do you see this as innovative? How do you see Bentham Canada fitting into that or the idea of litigation funding fitting into that? Peter: [02:44] so the people that don't know what that is. Tania: [02:44] The two doctrines maintenance and champerty and they arise from jurisprudence coming out of England in the 1800s that said parties can't support the litigant's litigation. Maintenance is where the funds are provided to pursue the litigation champerty is an aggravated form of maintenance where the third party takes a return from the successful outcome which is exactly what we do. [03:11] Over the years, those doctrines have been watered down across the common‑law world. In Australia, in 2006, a High Court had a decision in the case of Foster which said litigation funding is not maintenance and champerty per se. There's certain indicia which might mean that maintenance and champerty exists in these kind of arrangements. [03:34] But certainly, from a professional litigation funders perspective, nothing that we do that defends those doctrines. Peter: [03:40] Sorry because what you do is strictly based on ROI. Its objective and it's based on funding in order to generate a return. Is that it? Tania: [03:47] The three indicia of champerty is stirring up litigation, officious intermeddling or unreasonable levels of control. The third thing is taking an unreasonable return. When we set up our funding we're very mindful of those. Peter: [04:03] The first two are contrary to your interests. Tania: [04:06] Arguably people would say, "You want to stir up litigation because you know we read about something in the press." And so we ring up and say, "Hey, do you want some litigation funding?" That's not what we do because that could be interpreted to be stirring up. With the officious intermeddling, we don't want to be too involved in the litigation. [04:26] We work with great lawyers who run the litigation. The client has control of the litigation, they make the decisions, they appoint the lawyers, they decide the big pieces along the way. But as a funder, we need to have some level of oversight of the litigation and we need to be able to monitor our investment and that 6/10 of which we get involved in the litigation. 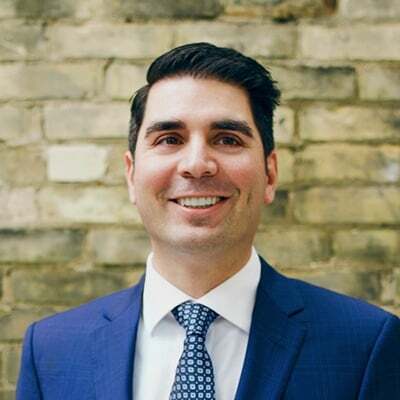 [04:49] But I think coming back to your question because it's very roundabout way of talking about whether what we do is innovative, I think in litigation funding is at least in the commercial claim context is pretty new to Canada. For some time there's been litigation funding in the personal injury spaces and a little bit of limited funding in the class‑action space. [05:11] We've seen litigation funders and I'd put litigation funders in quotation marks providing cover for adverse costs more like an insurance product and maybe a small amount of money for disbursements as well. [05:25] But what we're doing here is fundamentally different in that our primary obligation, as a funder of commercial litigation, is to fund the legal costs associated with the litigation and all the disbursements that come along with that. Peter: [05:40] The fact that she came from Lenczner Slaght, and is now partnering up with you guys gives you guys brand recognition in Canada. Is that fair? Naomi Loewith: [05:50] I think so. It helps more when talking about cases with litigators. That they know they're talking to litigators. That's legitimacy here, but also around the world. Peter: [06:00] Yeah, but I think people get the sense that because of that Lenczner Slaght brand, they know that you wouldn't join with somebody or an organization who [laughs] isn't of a similar quality. Is that fair? Naomi: [06:12] It's very fair. In fact when I got a call from a headhunter about this position, I said to her, and I said the same thing in my interview with Tania, that litigation funding seems kind of icky. [06:24] The headhunter said, "Take some time to read about the company. It's going to be different than you think it is." I did and it was very mind turning. Peter: [06:32] So you're working as a litigator. How long were you working as a litigator before the headhunter called with this opportunity? Naomi: [06:38] Almost a decade. Peter: [06:39] Types of litigation? Naomi: [06:42] Commercial, professional, liability, administrative law, really across the board. Peter: [06:49] You're saying your office phone rings? Peter: [06:52] What makes you pick it up and actually even have any extended conversation whatsoever? Naomi: [06:56] Everything's done in conversation with anyone. I'm a litigator. I love to talk. Naomi: [07:01] I wasn't looking for a change in my career, but this is a really interesting new way of looking at the law and practicing law. It taps into what I think is an entrepreneurial spirit that I have but still very much engaged in the litigation world. Peter: [07:20] It's such a big shift. This isn't, "Hi, we have an opportunity at McCarthy's." Right? Like this is something completely different. It's such a different thing than what you were doing that something in that moment says to you, "This is a good idea. That this significant shift is something that I'm ready for or open to." What was that? Naomi: [07:39] It was the idea of building something from the ground up. Obviously this company has been public listed for 16 years. It has one of a worldwide reputation, but Tania was coming to Canada to build it afresh. To create an entirely new market for something that no one else is doing. [07:55] The idea of getting to be on the ground, and opening the office with Tania and doing it together from minute one, was very exciting to me. Peter: [08:03] Tell me about the kind of hurdles you get from here to there. What was the recruitment process like? When did you meet Tania? What does that look like? Naomi: [08:09] Poor Tania interviewed me right after coming off the plane and being exhausted. The process was first learning a bit more about the company, doing a lot of reading about what litigation funding is. Litigation funding, as an industry, was really developed by the people who founded Bentham, and we're the first funders to become publicly listed. [08:26] Because people either don't understand or are suspicious about funding, the idea that we're a public company, that we're very open and transparent about what we do, how we invest, what our returns are, how much of the returns are going to the clients at the end of the day, that really helped me overcome what I saw as kind of that ickiness. [08:44] After learning about the company and reading about it, I prepared a business plan as the Canadian expert, about how I thought it would be helpful to bring this idea to the market. Tania: [08:54] I might jump in there. When Naomi gave the presentation to myself and a colleague from New York ‑‑ he came to help me with the interview ‑‑ she left the room after the interview, and we both said, "Wow! Don't we feel a bit deficient?" Naomi: [09:05] It was a good opportunity to combine what is a great track record across the world with building out a new market. Tania has been keeping an eye on Canada since 2009 and decided early 2015 that it was time to dip our toes into the Canadian waters. [09:24] The business plan that I prepared was talking about how we are going to bring this idea to the market, who are the decision makers, who carries a lot of influence in the Canadian legal market and particularly with the litigators, what the tensions are that law firms are feeling right now where clients are looking for different services from the law firms than they're getting, I mean how litigation funding can fit into it. [09:45] I met with Tania and as she said, a colleague from New York and we talked through how we might tackle the markets, and I was fortunate that she invited me to join in this adventure. Peter: [09:55] Very neat. You touched on the idea of a relationship between user client and the lawyer that has carriage of the file. How do lawyers find you and what's the process of seeing whether this is an appropriate case for your involvement? Tania: [10:11] The best approach is just to pick up the file and say, "I have got this case, these are the broad parameters," and we can have a discussion about it. As a screening mechanism, the four things that we look at, the merits of the case, on a very high level explanation. [10:26] We do a stress test on the merits, based on what they tell us, is this case make sense, does it seem like it's meritorious? The second thing we'll look at is, what is the likely or realistic claim size? The third thing is, what is the realistic budget for this case? Those second and third factors are really important. [10:46] There needs to be a ratio of about 1 to 10 between the likely budget and the likely claim size in order for the case to be commercially viable from a funding perspective. In our view, we don't want to be involved in cases where the metrics don't work. [11:02] If there's a scenario where the lawyer's getting fully paid, the funder's getting fully paid and the litigant is not getting much out of their own litigation, then in our view that's not a case that we want to get involved in. We look closely at those metrics. [11:15] Historically we return 63 percent of the claim recoveries to our client, which we think is a very sustainable funding industry. Then the fourth thing that we look at, and it's surprising how often people don't think about this when they come to us, but is there good prospects of recovery? Tania: [11:31] We don't want to have a Pyrrhic victory. Peter: [11:33] Right, it's amazing lawyers don't think about it. Tania: [11:34] Yeah, lots of lawyers do think about it, but often there's assumptions made, but that's something we do drill into. That's the initial screen process that we go through and then we'll say, "Yeah, this is worth us having a further look at," or not. Naomi: [11:50] Just to clarify, you're not looking at whether or not these people could fund their own litigation, it's not a means tested thing. This is just what could it do in terms of return and how you spread that return between everybody. Tania: [12:01] Yeah, absolutely. Historically, litigation funding has typically been seen as a real David and Goliath situation where the David will need the litigation funding to be able to able to pursue their Goliath, but increasingly we're just seeing that even well‑resourced and sophisticated corporations exploring litigation funding just really as a costs and risks management tool. Naomi: [12:27] I had a conversation a couple of months ago with a client who really drove that home. This was a case we were looking at out west in the resources space. The client has a lot of money. They're a public company we can see how much money they had, we knew that there wasn't a needs test at all. [12:41] When I was having the conversation with the client I said, "Why are you coming to us for funding?" He said that, "Well, this is a significant piece of litigation, it's going to cost me four million dollars, over the next three years and with that four million dollars I could either drill another gas well or I can pay my lawyers. And I'm good at drilling gas wells." "[12:58] So I'd like to use my money for the gas well and your money for the litigation, hopefully they'll both yield returns, but if they don't, I still have a gas well." Peter: [13:07] Yeah, I love it, I love it. The 63 percent that you mentioned earlier in that return to the litigant, does that include the legal fee portion or not? Tania: [13:16] It would include the legal fee portion. Peter: [13:19] So, 63 percent to the litigant and with your cut taken as well as the lawyers being fully paid? Peter: [13:25] Yeah, OK. The more and more I think about it, frankly, there's part of me that's starting to believe that it falls within my responsibility as counsel to make sure that I'm presenting these options to the clients, in the right cases. [13:36] That part of my job as an advisor to my client is helping them understand the economics of this and then presenting them options that they can either take or not, depending on what their comfort level is with the sharing of risk or the up side/down side. Tania: [13:50] Yeah, I think that's a very interesting point and when we look at the way that the law's evolved in the UK, the Solicitors' Rules now have some direction about lawyers having to discuss these options with their client. [14:01] Australia's not there, Canada's far from, but I do think that it's something that lawyers are increasingly thinking about and should discuss with their clients. One of the very first conversations I had in Canada with a lawyer at a large firm in Montreal and we had a coffee and he found it all very interesting. [14:20] He said, "My clients can pay them, I'm never going to use you." I find that a bizarre approach in the world that we live in, where clients are so focused on their legal budgets and how things can be done creatively and with certainty. Then why not have that conversation? [14:38] If it's something you can tell your client about that they didn't know two minutes ago, they might say, "It's not for me," but equally they might say, "OK, let's explore this further," and you've actually brought an added to value to your client. [14:50] Funny enough that lawyer called me in Australia two weeks later and said, "You know, I said I'd never need you, well, I've got this client." We joke about it now and he's become a big supporter of what we do. [15:00] But I think so often lawyers with well‑resourced clients are just used to sending the bills on a monthly basis and they get paid, but is there an avenue there for those lawyers to be thinking a bit more creatively about how they do their work and how those clients pay them? Naomi: [15:15] I think that was one of the biggest things for me to get over, this isn't funding based on means test, you have clients who can afford this, but it's not, possibly, the best use of their funds and their capital and everything else. [15:27] Trying to get lawyers to have that mind shift in any space is hard, but to picture their clients saying, "Paying my lawyer is not the best use of my money," is kind of hard, I think. Tania: [15:36] Yeah, and when you look at businesses, they really pay for assets out of their own money. They get some kind of bank finance or whatever type of finance and if you just look at litigation as another asset class then why not explore other ways you can finance it. [15:54] Litigation is an asset that is inherently risky, so in many respects it's more compelling reasons to look to a third party to fund that and also to cover off the risk. Natalie: [16:04] We hope you are enjoying the podcast. We want to take one minute to tell you about a new segment that we're adding to the end of each episode. It's called "I am Building NewLaw," and it gives you the opportunity to share what and how you are changing the practice of law. Peter: [16:22] If you're building a new law firm, legal tech company or product, we want you to record a message and tell us all about it. Natalie: [16:27] Just go to countertax.ca/iambnl, click on the voicemail button and tell us what you're building and why. Peter: [16:35] And now back to the show. Peter: [16:37] When I think back to that mindset shift that we were talking about earlier, what I think needs to change a little bit maybe, is, your friend who called you from Montreal and now sees the light, the idea that it is not our role to substitute our judgment for our client's. [16:56] Or substitute our own risk tolerance for our client's, without involving the client. Something is missing in an arrangement when a lawyer, believes that it can simply make these types of decisions on a client's behalf. Who am I to unilaterally adopt a position that I'm going to allocate my client's funds to this claim? [17:15] Without him or her being involved in that decision making process and without him or her understanding what the opportunities are for them. When I see it, I think that it's about lawyers changing mindsets to having a more collaborative approach with their clients. [17:28] That's how I view this, if we're bringing the client to the table with Bentham or whoever the litigation funder is, then we all have a discussion together about where everybody's interests lies and come out with the best solution for everybody. [17:40] As opposed to me unilaterally saying, "Client, we're not going to get you involved in this. The grownups will talk about this. We'll let you know when we need you." Naomi: [17:47] I think that's right and it's really part of this increasing shift to a more client centric approach to law. Tania: [17:55] One of the interesting things we've found is, of all the different constituencies that we have spoken to in the last 18 months, one of the most receptive have been CFOs because they're the ones who get the legal bill every month, they're trying to understand what the return is, they're the ones who are trying to allocate priorities. [18:10] They're sophisticated, but they have a different way of looking at the problem than lawyers do or even general counsel. We've found them to be a very strong group of advocates for our business. Naomi: [18:19] It becomes like a math problem at that point, right? It's just "What's my percentage of return and what's my risk?" Peter: [18:25] It's always a math problem. Naomi: [18:26] But no lawyers are looking at files as math problems, right? They're not doing that analysis to help their clients. Peter: [18:32] I don't know if no lawyers are, but not many. But then that leads back to the earlier question, which is, OK, so you had the initial discussion in terms of, "Does this look like something that we would be interested in?" [18:43] Then it gets to, are lawyers concerned that your analysis is going to differ from theirs, and now a client has two different, opposing views sitting in front of them? Have you had those situations before, and what does that look like? Tania: [18:56] Yeah, I think there's always a delicate line to tread when we're analyzing cases, particularly when we're rejecting them. [19:03] When Naomi started work, I said the hardest thing about this job is rejecting cases because, frankly, I want to help everyone, but we're a publicly traded company, and we've got shareholders to consider and their returns, and their return on our investment. [19:16] There's going to be cases that are great cases, but they're just not suitable for our funding. We also have a very high threshold in terms of...We only really take on the most meritorious cases. The fact that a case doesn't necessarily meet our investment protocols doesn't mean that it's a case that's not a good one. Naomi: [19:35] It's something we think about a lot ‑‑ how we can add value even when we say "no," since we do say "no" a lot more than we say "yes." [19:43] One of the ways we do that is by having conversations with the lawyers and with the clients and just talking through the cases, and sometimes having a fresh set of eyes on a case can bring a new perspective, especially if the case is pretty far down the track and everyone's a bit caught in the weeds. [19:55] We try and ensure that we are talking it through and saying, "Well, we think this case is really strong on A, B and C, but we see a problem with D and we're not sure how to overcome it." [20:06] Or, for example, there was a case that we rejected a number of months ago, and then there's a court of appeal decision last week that seemed to touch on some issues that were relevant, so we sent on the court of appeal decision to the lawyer. [20:15] He's probably already on top of it, but we also stay very on top of the law across the country, and said, "Just wanted to make sure that you might have seen this." [20:23] Sometimes when we're really clear about the reasons for rejecting a case ‑‑ because there's a threshold issue that we can't overcome here or there are a lot of stars that have to align and they didn't all align ‑‑ then we'll get a call again 12 months later saying, "Actually, the situation has shifted a little bit here and we've succeeded on X issue or we now have evidence on this Y question, will you reconsider looking at the case?" [20:43] We always will. That's one of the reasons that we want to make sure to be having a good, forthright conversation about the reasons for it. [20:51] I think, Peter, you had asked at the beginning of this part of the conversation, "Are lawyers worried about having someone else looking over their shoulder?" We really do try and make it as collaborative as a process. We're never going to hang someone out to dry and say, "Well, we think your lawyer really screwed this one up." [21:05] Cases are complex, and there's a lot of different ways that a case can be litigated, but by being involved with the process and trying to have open and transparent conversations with everyone, then we're adding value, we hope, to the case just by having a conversation with us. Peter: [21:18] Yeah, and there's no cost to the analysis that you're providing, and so I think...We're big believers in collective intelligence, and so if I can get you for free, [laughs] and hear your perspective..."Thank you very much. That's fine, don't take the case. We'll see you later, but thanks so much for your input." Naomi: [21:32] [laughs] That happens a lot! We sit down, and even if we're not able to fund a case, then we'll have reviewed a draft statement of claim and given some thoughts and said, "Have you thought about adding in this?" or, "We're on top of this issue. We know that there was a case in British Columbia on a similar fact. Do you want to throw something in on that?" [21:46] We want it to be an open and collaborative process. That's one of the reasons it's to everyone's advantage that we're all former litigators. Peter: [21:52] If we have that initial discussion, we cross that barrier, what are you looking for from me or any lawyer to provide you to allow you to go away and do the type of analysis that you want to do? Tania: [22:03] That's a question we get a lot, and actually we've just done a blog post on it. [22:07] It doesn't need to be packaged up completely neatly. We don't need an advice on merits or on quantum, but we do want to see the key and allying documents to any case. If there's pleadings, we would certainly want to see those. Expert reports. If there's not expert reports, who the experts are likely to be. [22:24] There's a lot of analysis we do around the client and the lawyers, and typically there's no issue there. Naomi: [22:31] We really are doing the analysis. We're not relying on the lawyers' analysis. [22:34] We're doing it with a fresh set of eyes, and often that analysis will be done in‑house with us, and we've recently hired a senior associate from a top firm to come join us in a couple of weeks, but we also retain outside counsel from time to time to assist us if it's in one of the provinces where we're not called, if it's a specialized area of securities or tax or construction litigation. [22:54] We've been building relationships with law firms across the country on those second opinion matters, and it's been a great way for them to get to understand how we work and for us to understand how they work and to share some analysis. [23:04] Often the people who do our second opinions are then the ones who bring us cases the next time, because I think it gives them extra comfort about how we work and who we are and what value we bring to a case. Peter: [23:14] When you say "we," it's not just the two of you obviously doing the complete analysis and gaining approval for this. What's happening behind the scenes and what does that look like? Tania: [23:23] Once we've done the due diligence process, we'll put together a detailed memorandum, and then we've got an investment committee of five senior litigators and an ex‑Supreme Court judge ‑‑ that's equivalent to US superior court ‑‑ in Australia. [23:37] We'll have a meeting and it's like a hot bench. We get all the questions about the sticky parts of the case, and if the investment committee is satisfied that it's a case that we want to invest in as a company, then we'll move to the next stage, which is to finalize a funding agreement. Peter: [23:53] That process doesn't involve any outside party? It doesn't involve the potential client of anything like that? That's completely a Bentham analysis? Tania: [24:01] Yeah, it's all a Bentham analysis. When we put together the memorandum, we'll talk about the client. We'll talk about the lawyers. If we've got a second opinion on a discrete area of law or on a province that we don't practice in, that will all go into the memorandum. They're quite detailed and quite lengthy. Naomi: [24:17] After we get approval from our investment committee, if we enter into and finalize the funding agreement, then we will announce the investment on the stock exchange. It's part of our transparency commitments. [24:27] Generally speaking, there's an exception in the United States because of their deposition laws, but we announce by party name when we're funding a case both because it's a material investment from our shareholders' perspective but also it's a pretty significant step for the plaintiff to be able to say that Bentham has partnered with them to fund the litigation for two reasons in particular. [24:46] The first is that it signals that the plaintiff has the capital to see the case through to the end, so a scorched‑earth defense policy isn't going to make the case go away. Second, it says that a sophisticated commercial entity that vets litigation for a living thinks that this case is a winner. Peter: [25:07] That's pretty neat. When I think of you guys, I think, "What they're betting on is that their analysis is rock solid." What makes your analysis so good? Naomi: [25:19] [laughs] I'll probably wind back and say it's a very educated bet if it's a bet at all, but I think part of it is having quality people who we recruit to work for us. [25:31] When we came into this Canadian market, we really wanted a top Canadian litigator who would do great analysis of the case. [25:39] Then I think it's also the power of the collective thought process. When you get to that investment committee meeting that you've got five powerhouse brains who are really going to look at the case and from many different angles. I think that brings some rigor and a perspective that's really valuable. Tania: [25:57] The perspective not only of former litigators, but also because the company has been funding litigation for such a long time. [26:03] For example, on an investment committee call that we had earlier this week, one of the members of the committee was able to say, "We had a real learning experience from X case that we thought this part of it was going to be smooth and it wasn't, and so how do you think that would affect the prospects here?" [26:19] Because we have the benefit of a big company with a lot of learning, we're able to bring that to the table in helping us make our investment decisions. Peter: [26:26] It's interesting because you have that litigation background and so you came to Bentham with a certain type of analysis and with certain views about different cases and things like that, so how has your analysis changed or gotten stronger? Tania: [26:39] I think about what it's going to mean at the end of the day for the client. I think that as a litigator, you want to win, and you want there to be judgment in your favor, but sometimes that's not enough. [26:50] Obviously, many litigators are great at thinking that through, but it's something that I've found my thought process changed a lot in the 18 months since I joined in terms of really talking through to the client. "What does it mean to you at the end of the day?" [27:02] We're looking at a case right now that's a little bit unusual in terms of our parameters, but a success in this case...Even if it's not ultimately going to mean as much money in the client's pocket as we usually like to give back ‑‑ that 63 percent ‑‑ it will enable their business to go forward for some nuanced issues related to this business in particular, and that is worth a significant amount to the client. [27:23] And so, I have thought more about what the priorities are for the clients and what it means at the end of the day for them. Natalie: [27:32] From my perspective, the big shift was when I was a litigator, when you're pleading out a case, there's often numerous causes of action that you could choose to plead. Some are going to be stronger, some are going to be weaker. The temptation is to put them all in there. [27:46] We have a lot of conversations with lawyers about..."You've got these five causes of action. Isn't the value really in cause of action one to two? And if you're trying to prove out three to five, it's actually going to be quite costly." And so, how do you run a case that's lean and streamlined and strategically sound? Naomi: [28:05] I always think of litigators as having different hats. At some point, you have your analysis hat, and then you have your advocate hat. [28:11] I find what happens with a lot of people is you get so wrapped up with being an advocate that a lot of people forget to do the analysis. So coming from a litigation background, did you have to learn to switch hats, I guess? Tania: [28:23] Yes, I think that's a big part of it. [28:26] It's something to keep in mind when we present cases to the investment committee in particular because of course you've put so much time into the case and you care about the clients and you know what it's going to mean for them to be able to get funding, particularly in the David and Goliath case where they might not get to go forward otherwise. Tania: [28:44] and say, "Here's the case and it's amazing, and this is what you should fund it," but that's not our job. Our job is to advise the investment committee, who's really there under a corporate structure, acting in the shareholders' best interest to figure out where it's best to invest our capital. [28:55] That's a bit of a trickier one, but it's also great fun to be able to really sit down with the clients and the lawyers and figure out how we can best work together to find a solution where we can play a role and the lawyers can be fully paid to do the best analysis and the best work that they could. Peter: [29:12] When you bring this idea to lawyers generally, what type of reception are you guys getting? Naomi: [29:17] Overwhelmingly, I'd say people are curious and interested. Most lawyers see that there will be opportunities, even if they don't have them on their desk at that particular point, where this will be a tool that they might want to implement down the track. Tania: [29:33] We often hear, "Oh God, I wish I'd known about you eight months ago, because I said 'no' to that case," or, "I recommended settlement because of the cost of pursuing it, and if I had known that you were here, it would have been otherwise." [29:45] We're still surprised when we hear the "Our clients can afford to pay us," because you want to say, "But do they want to?" Tania: [29:51] Because I could afford to pay a lawyer. I don't want to if a friend can do it for free for me. I think that clients are in that same position. [29:58] Then there's still a bit of confusion as to whether...First of all, whether we cover legal fees because the type of funding that's historically been done doesn't include legal fees, and that's what the lawyers care about the most. [30:08] People are still concerned about maintenance and champerty, and we have a whole section on our website about maintenance and champerty, and we keep a really close eye on that law. Tania: [30:23] But I think that's a real outlier, and I think that it was unfortunate because the client...Had the lawyers taken a bit more time to read either our website or up to date on the laws on maintenance and champerty would have realized that this was a real opportunity to help the client because of course we're always operating within the utmost confines of the law. [30:41] We have taken a very proactive approach with respect to reaching out to the judges and to the law societies and to Law Pro and to anyone else who has an interest in our business to make sure they're comfortable with what we're doing. Naomi: [30:53] The biggest hurdle is the education of the market because once people really understand what we do and get over that initial skepticism and understand it, then, I think the reception has been overwhelmingly positive. Tania: [31:08] A number of the firms have had us in to present their client education days because they see it as a way of bringing a tool to their clients that says, "Here's a way you can keep working with us and it won't affect your bottom line and here's a new development that you may want to know about." That's been really encouraging. Peter: [31:24] For people who hopefully we've piqued their curiosity and want to go step further, what do you think is the best path for them to take? Tania: [31:31] There's a lot of information on our website and we try and keep it up to date and we put out a blog at least twice a month trying to answer questions that we hear coming up. [31:39] We'd recommend it people go to the website but beyond that, pick up the phone and give us a call. It's nice to just have a coffee with people and to talk through what it is we do, what specific questions they have. [31:50] I think that meeting face to face can often help people gain comfort with who we are and how we operate and we also learn from them. We've been doing it for 16 years across the world, Canada's a new market and we're taking the time to really figure out how we can best help lawyers and clients. [32:07] Every time we get to have a conversation with someone we've had a lot of coffees in the last year and a half, we get to better understand the market and how we can play a role. Peter: [32:17] What's next for you guys in Canada? Tania: [32:18] We have a lot of promising cases right now. We've looked at about 150 cases since opened. Our investment committee approved one of them this week and there's another case that we had agreed to fund before the Canadian office opened. The case has now been filed and we have sought court approval at the federal court of our funding agreement. [32:38] There's no requirement to while the court would have supervisory authority in an insolvency or class action context. This is neither of those but as part of our commitment to making sure everyone's comfortable with who we are and how we operate. We've sought court approval and that motion will be heard shortly. We hope that will follow with good news. Peter: [32:54] Keep us posted on that. I'd love to know about that. Peter: [32:57] Thanks so much for coming. Tania: [32:59] Thanks for having us. Peter: [33:04] Is this actually innovative? Do you think that this is going to change the Canadian legal market? Natalie: [33:11] I think that there's a very good chance that more people will be talking about it. I don't think that necessarily litigation funding leads to a change in how legal services are delivered and things like that. [33:22] It's more of a if fits off of a client‑centric side and understanding your clients business and why they might need litigation funding. I'm not sure I could say yes, I think it changes how legal services are delivered. Peter: [33:33] The argument against litigation funding is that these are enablers and they're going to cause more litigation, than would otherwise be in the market. I don't think that that's true but leaving that aside, what do you think about the idea that litigation funding in a roundabout way will discourage law firms from changing? [33:54] That this funding will provide the opportunity to law firms to continue to resist change and to continue to practice in the way that they're practicing today? Natalie: [34:02] Because they can get the money. Based on what we've seen from Bentham and from Tania and Naomi like that's not what they're interested in doing or working with. I don't see Bentham saying, "Oh, you know, here's the piece of pie we might win at the end of this and you law firm over there. Sure, you can take a bit of it just because you're inefficient." [34:23] They're going to be hounding whichever litigation firm they're working with them running the litigation. They're going to be saying, "It's not working more efficiently." Peter: [34:31] I don't think that's true at all. I don't see Bentham's role in any way shape or form being putting pressure on a law firm to either gain a greater upside for that law firm or to keep costs in control of a loaf. Natalie: [34:44] Why not? It's in their interest to do that. Peter: [34:47] It's in Bentham's interest to invest in cases in which they will win. Period. Natalie: [34:51] And get a high return like the share of the pie that they're going to get, they still want to maximize that. Peter: [34:57] Yeah, I don't see that's where they're going. Natalie: [34:59] You don't think part of the due diligence is saying, "OK, where did you get this budget from?" Peter: [35:03] I didn't hear any of that, did you? Natalie: [35:04] No. Just because we didn't hear it doesn't mean it's not. Peter: [35:07] No, I just didn't hear it. I like the collaborative approach. I really like that idea not something I really considered. Natalie: [35:13] What do you mean by that? Peter: [35:14] The idea of having them as an ally is appealing to me. Natalie: [35:19] As in these guys think we're going to win so puts more pressure on the other side? Peter: [35:23] I think that's part of it but that's not what I meant. These are smart people. Having that insight and having three parties at the table, I think it can only benefit a file. Natalie: [35:34] It's even more than just one extra person because you've got Tania going in and being grilled by a committee who want to know like, "How could this file possibly go wrong?" Just to have your file go through that level of analysis is incredibly valuable. Peter: [35:48] You could have that now, right? Natalie: [35:50] People just don't do it that, right? Natalie: [35:52] Is the level of analysis is greater because there's more skin in the game or there's more of...I'm looking at it and I'm saying, "Wow, these guys must really vet this file because they're willing to go back to their public shareholders and say, guys, we can make money on this." Peter: [36:07] Yeah, I like the idea that this is a different analysis because of the skin in the game. I do. Are lawyer's actually going to adopt this? Natalie: [36:14] I hope so. Peter: [36:16] What's going to stop them? Peter: [36:17] Oh, God. It's always fear. Natalie: [36:19] It's something different, is something when Naomi was talking about a key factor in terms of public perception and trying to get people used to the idea that it's not wrong to take a piece of the pie at the end of successful litigation. [36:33] What did you learn from our interview today that you didn't already know about Bentham? Peter: [36:36] I'll tell you what I'm surprised at. I'm surprised that there isn't more of a formal process for intake of files but maybe that's just me. This is by design because the privilege issues and all that other good stuff but the initial online forum is sparse. [36:51] I'm surprised there isn't a formal process in terms of, "We need these three things and these are the format in which we need them in." But I guess the reason for that is that would just be another barrier of entry and so why create that friction? Natalie: [37:03] Like they said they're building relationships here. They're looking for long‑term relationships when people build that trust and then when that file does come up, they're in the right place. Peter: [37:11] Yeah and the reality is that we wouldn't be talking to them and we wouldn't believe in Bentham or gave them the opportunity to convince us but for the fact that they've aligned themselves with really great counsel. 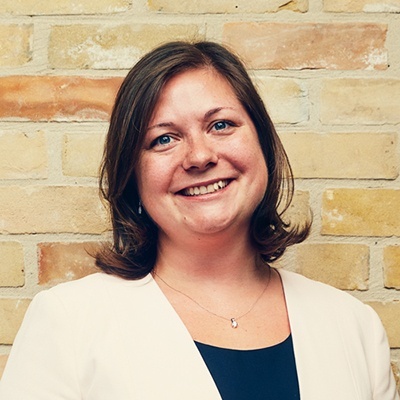 Natalie: [37:23] For this episode, show, notes and transcript and how to satisfy our Law Society CPD requirements, please visit our website at buildingnewlaw.ca. We'd love to hear from you and if you have any feedback feel free to send an email to info@buildingnewlaw.ca. 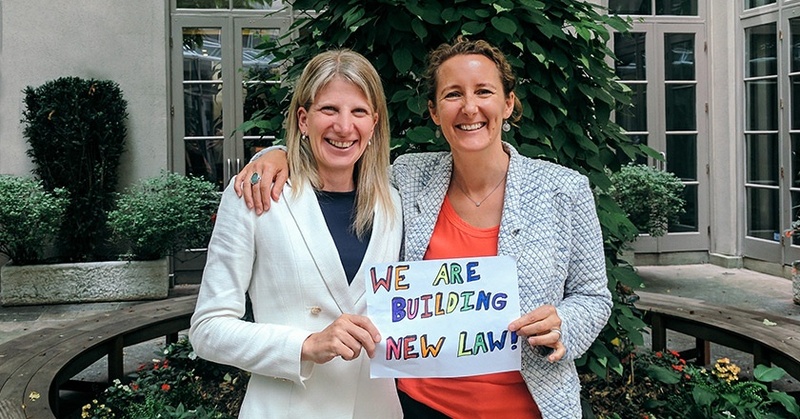 Will come and find us on twitter @buildingnewlaw. [37:44] Don't forget to subscribe on iTunes, our website or wherever else you get your podcasts. Sponsor: [37:50] Thanks for listening to the Building NewLaw podcast. Brought to you by Counter Tax Lawyers. To learn more about Counter, go to countertax.ca. Lawyers that have completed the S03E01 BNL CPD cam claim a 40 minute Professionalism CPD credit. To access the S03E01 verification examination click this link.